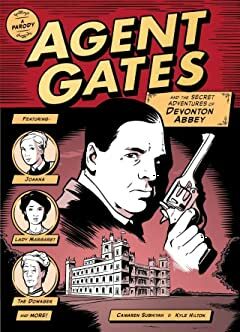 Who is aware of the international intrigue concealed below stairs? 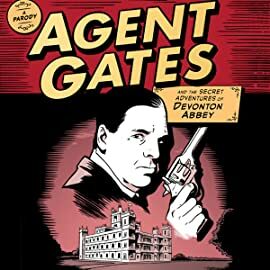 Will Agent Gates save Britain from her enemies while ensuring Devonton Abbey's reputation is upheld? Will Lady Margaret secure a proposal from Martin Crawhill, the heir to the estate? Will Thompson and O'Malley ever get lung cancer? "Wicked and daring. An uproarious adventure suited for anyone who must bear the tedium of reality." "The pictures are awfully nice." "A graphic expose that triumphs in its ability to question elitist society and esoteric class systems." "Can I be on the cover?"